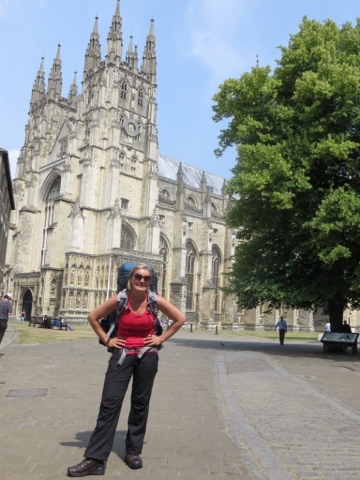 .... here in front of the Canterbury Cathedral. After morning mass and a proper pilgrims' blessing, I go where few have gone before me. Both excited and scared I take my first steps and hope for the best adventure yet! Hey !! Good luck on your adventure!! I'm beginning to get itchy feet myself and am thinking a lot about picking up my pilgrimage to Rome where I left off a couple of years ago (in Besancon) I think you read my blog. The Via Francigena, in France can be quite a lonely walk, but the scenery and wildlife are amazing !! Great to see you doing it though, I'll defiantly keep reading your blog, very inspiring.